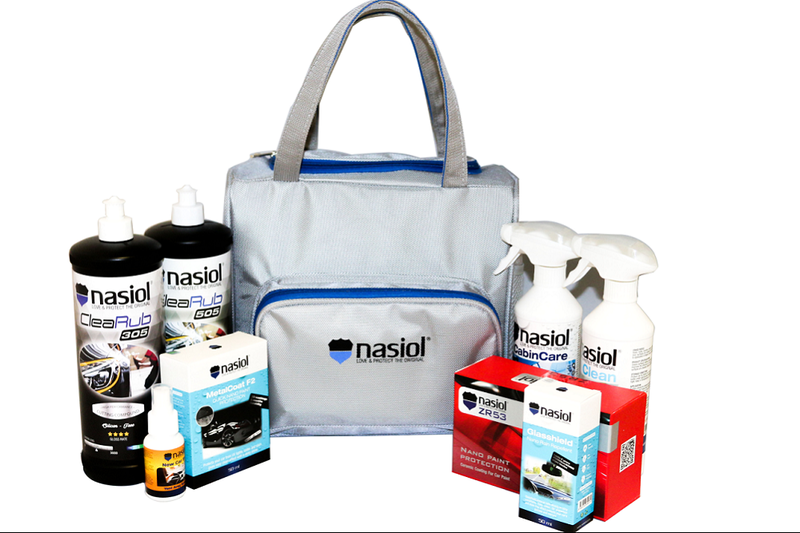 Here you can see the picture and ingredients of the newly released Nasiol car care kit bag. This is different than the previous one including a more extensive product line with all items a detailer may need. The bag is including 2 polishing compounds (CleaRub 305 & 505) with different cutting levels, 1 Ceramic Paint Protection (ZR53), 1 ultra effective Rain Repellent (Glasshield), 1 quick paint and plastic protection (MF2), 1 textile stain repellent (Cabincare) with an additional universal cleaner (500 ml) and a unique new car smell fragrance taking the drivers back to the first day of driving. The two lucky commenters will have the chance of earning this fully-equipped car care kit with 75 % discount. Please leave your comments, thanks, questions or whatever you want under this thread and get the chance being picked up once the day comes. The selections will be made randomly and the deadline is 17th November. If you would like to get more information about wholesale kit bag prices please do not hesitate to write info@nasiol.com. Happy to be the first to comment. I have used you glass treatment and think it is fantastic! What an amazing looking kit - I'm waiting on my mate getting his finger out and using the glass sealant he got delivered last week so I can have a go with it for the winter. Good to see a kit with almost everything you'd need to get the car looking it's best for the upcoming winter. All the products from the one manufacturer should mean they all work well together - would be great to be able to try them all out together. Fantastic looking Kit - I'm intrigued by the Car Fragrance !!!! I've used your glasscoat and it's an excellent product. Looks like a great idea to have a complete care kit. Are these traditional ceramic coatings or something more advanced? Would like to try them out.